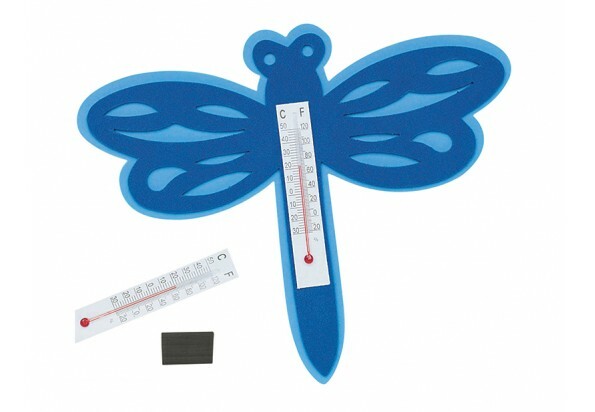 Dragonfly Thermometer© Craft Kit (makes 12) (CE4017)-Foam toy-台州山水工艺有限公司官网,山水工艺,台州山水工艺,仙居山水,台州山水,Taizhou Mountain & River Art and Crafts Co.Ltd,Registered and established in 2006, Taizhou Mountain and River Crafts Co., Ltd is a storage trading company, also is the only one Sino-U.S. joint venture in Xianju County, which was jointly set up by the U.S.-based S&S Worldwide and Xianju Yikai Crafts Co., Ltd.
Dragonfly Thermometer, this simple, unique dragonfly features a working thermometer to display room temperature. He's magnetic, so it's easy to stick him on the fridge, filing cabinet or any other metal surface. Includes foam pieces, thermometer and magnet.